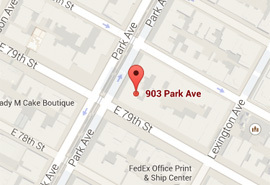 Welcome to the American Lipo Centers New York City Manhattan location. The newest addition to liposculpture and body contouring in New York City is Laser Liposuction at American Lipo Centers. This advance is made possible by using a thin laser fiber to directly liquefy fat allowing it to be easily removed or even left to absorb in small cases. We look forward to answering your questions about cosmetic procedures and providing you with the best resources to make an informed decision in considering liposuction and laser lipo. Can you picture yourself in those skinny jeans again? You used to have the body to fit into those jeans and they’re probably still in your closet. You’ve tried diet and exercise but may have hit a plateau. Do you need a jump start to get back to your old body? Are you ready to Love Your Body Again? Laser Liposuction is less invasive than traditional liposuction and can provide fat reduction, skin tightening, and body contouring on any area of the body where fat is present. Because it is less invasive, the holes are smaller, and most cases the procedure is done while you are awake and patients can begin to lightly exercise the next day. The laser-assisted liposuction system is a technique for reducing unwanted fat. A laser fiber is introduced through a small cannula, delivering energy directly to subcutaneous fat cells-causing them to rupture. The emitted fat melting energy also coagulates tissue, thus inducing collagen retraction and tissue tightening. The laser causes small blood vessels to coagulate immediately, resulting in less bleeding, swelling and bruising than conventional liposuction, for faster healing and recovery. Given the cannula’s small size and gentleness of the procedure, laser liposuction is a minimally invasive treatment that only requires local anesthesia, enhancing patient safety and reducing the likelihood of side effects. Are You a Candidate For Laser Liposuction in New York City? The ideal patient for laser liposuction is motivated to pursue a healthy lifestyle to promote ideal body shape. This includes regularly scheduled exercise and sensible eating habits. By combining the sculpting skills necessary for superior results in liposuction sculpting patients with the skin tightening abilities of internal lasers, American Lipo Centers in New York City promotes a healthy self concept with excellent body contour. Who will perform the liposuction surgery? Our plastic surgeon has completed thousands of cosmetic surgery cases. Our physicians and nurses utilize the most advanced technologies and techniques while providing compassionate care that is highly personalized to our patients and clients. We have a strong sense of appearance and aesthetics and we will provide you with options that are in line with your goals and expectation. Your laser liposuction procedure will take only 2-3 hours and you can return to work in a couple of days. Are You Ready to Visit our New York City Location? The American Lipo Centers New York City office is conveniently located in Manhattan and we are close to Brooklyn, Queens, Staten Island, the Bronx, Westchester County New York, White Plains New York, and northern New Jersey. We routinely have patients join us from NJ, Massachusetts, other parts of New England, and all over New York state and New York City. Patients tell us that they find that it is worth the drive to see an experienced plastic surgeon at American Lipo Centers in New York City where we offer the highest quality of laser liposuction services at a fair cost. American Lipo Centers provides laser liposuction surgery for men and women at an affordable cost. Two Easy ways to schedule your consultation at American Lipo centers in New York City! Call our office at (347) 396-0366 or simply fill out the form on this page and we will contact you to answer any questions or concerns you may have.